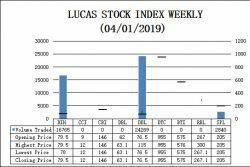 The Lucas Stock Index (LSI) remained unchanged during the fifth period of trading in December 2018. 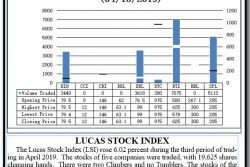 The stocks of one company were traded with 13,500 shares changing hands. There were no Climbers nor Tumblers. 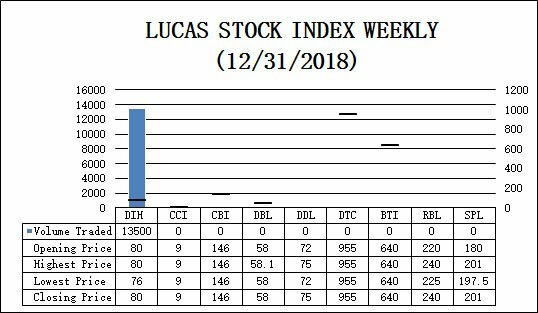 The stocks of Banks DIH (DIH), which were the only ones traded, remained unchanged on the sale of 13,500. 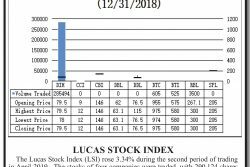 The LSI closed at 514.87.